Join us to benefit from the power of networking with our community and connecting with specialist support. Advance your career and develop your personal goals with our industry expertise. Participate in our training and events to obtain new skills and knowledge from leading experts. Access innovative and practical resources to support and guide you. Through TEMI Advance we’ll seek to guide you on your individual journey. Kick start your career and push you towards your goal, be it a transition into industry, an overseas assignment, or an entrepreneurial adventure of a technical specialism. Scroll down and reach out to some of the TEMI Community and let them support you on your career journey. Your first step is to get involved. Click Below And Get Involved! Mentor, Trainer, Speaker – Deborah is an innovative and creative leader who has lead multidisciplinary teams in the design and implementation of strategic, commercially focused global mobility programs for over 20 years. Deborah specialises in transitioning corporate outsourced engagements, managing the implementation of outsourced vendor contracts, transforming in-house Global Mobility/HR service centres. Deborah has been engaged by blue chip organisations across the legal, education, oil & gas, mining & resources, professional services, engineering, finance and telecommunication industry sectors. 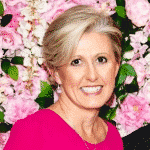 Widely recognised as being pivotal in shaping the Australian global mobility industry, Deborah most recently founded The Employee Mobility Institute (TEMI) to support mobility professionals and those servicing the mobility industry throughout Australasia. With over 15 years experience in mobility management Wanda is recognised as a major voice and trusted industry advisor and expert in Global Mobility. Wanda heads up a dynamic organisation specialising in all areas of global mobility management. As Managing Director and business owner Wanda prides herself on leading and developing a strong team in a constantly changing environment. Wanda has undertaken a program of transformation across the organisation, establishing a strong, dedicated team of mobility specialists, developing flexible work practices, family friendly work environments and ongoing professional development opportunities for her staff. Wanda’s leadership style is collaborative and inclusive. Wanda has qualifications in Education and Economics and has lived and worked in Canada and Vietnam. Recognised as a global mobility and advisory services expert, Michelle holds a degree in Business Management from Swinburne University. For the past 17 years, Michelle has worked with both multi-national corporate organisations and commonwealth government clients, helping them to optimise their global mobility programs, processes and systems to improve mobility efficiency and employee experience. 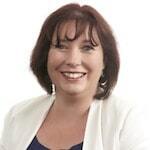 Michelle has held the role of National Business Development and Consulting Services Manager at Toll Transitions since 2013, responsible for client relationship management and specialising in strategic mobile workforce program and policy design, assignment management, vendor management and best practice consulting services. 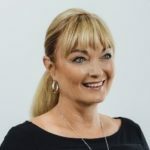 Having held senior management roles at Global Relocation Management companies and an International HR Consulting Firm, she has delivered a broad range of strategic and operational global mobility solutions including the negotiation, design and transition of service delivery models, end to end service programs and administration platforms to over 150 corporate clients. Ulrike Fisher’s experience spans over 20 years in General HR and Global Mobility Management in Europe and Australia with leading organisations in the services, manufacturing and pharmaceutical sectors. Ulrike holds Degrees in English & Politics as well as an MBA in Human Resource Management. Since moving to Australia in 1995, her professional focus has been on international assignment management and immigration law. Ulrike has led Mobility functions for 3 leading Australian companies. More recently her responsibilities have expanded to also include Diversity management and Job Evaluation programs. 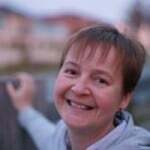 Ulrike has been a member of TEMI since inception and serves on the Steering Committee. Contact Ulrike to talk about her career. Nikki is a commercially minded HR Operations Manager with 20+ years in the employment sector. Known for building high performing teams that deliver outcomes across In-house recruitment, RPO, MSP, Talent Acquisition & Workforce Solutions arena. Currently working as a Management Consultant supporting organisations review their business processes and development aligned strategic plan for opitmising business growth. Previously the Executive Director of a Global Talent business, heading up the ANZ solutions division, responsible for revenue of $800M+ and was a member of the executive leadership team driving the strategic direction of the whole ANZ business operation. 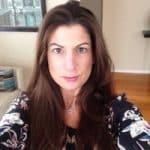 Working with her clients Nikki has developed talent strategies for National and global clients across APAC in diversity, cross border attraction, organisational design, and capability matrix including traineeship pipelining. Nikki is a member of TEMI’s Industry Development Taskforce and also has extensive community involvement in a number of not-for-profit committees and boards. Contact Nikki to talk about her career or the TEMI Taskforce. Sue Latina-Cohen currently serves as the Global Manager Mobility Services for Toll Transitions, leading the service delivery for corporate and commonwealth clients. Sue’s responsibilities include oversight of end to end relocation management services for the client portfolio including account management, operational management, and delivery of destination services, consulting services in local and global markets. Sue has more than 30 years of experience in the global relocation market across a number of markets, services and client bases. Prior to joining Toll Transitions, Sue held a number of leadership roles with Cartus in the United States. In her nearly 28 years with Cartus, her responsibilities included leading the global intercultural and language practice, the US government portfolio, various corporate client portfolios and acting as Managing Director of Cendant Mobility/Australia (now Cartus) from 2002 to 2006. Born in the US, Sue is now an Australian citizen and has moved several times, treasuring her personal and family experience as a relocatee. 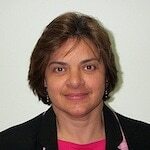 Sue holds a Bachelor of Arts from the University of Connecticut, is on the TEMI steering committee, is a member of Worldwide ERC with her GMS and CRP accreditation and is on the planning committee for the APAC Worldwide Employee Relocation Council. Contact Sue to talk about her career choice. Nick is first and foremost a father of 3 (very small children), who keep him highly entertained and very busy! He does work too – Nick made a conscious career change in February 2018 when he decided to leave the world of Talent Acquisition behind after 10 years, and transfer those skills into Mobility Technology. Nick has always been passionate about finding and retaining the right talent for organisations, so when the link between Talent and Mobility became apparent, coupled with leading-edge technology, it was a natural fit. Energetic, passionate and driven to deliver world class Mobility solutions for the APAC region, Nick has loved every day at Topia immersing himself in the world of Mobility & HR Technology. Contact Nick and have a chat about his career choice. Erika has spent the past 13 years working in consultancy and in-house roles across HR, Global Mobility and Remuneration & Benefits. Over this time she has seen enormous change in the Talent and Mobility landscape and is excited that this is just the beginning. With the advances in technology, legislation changes and increased scrutiny over cost, Erika believes that requirements have shifted from Global Workforce Management practitioners who are highly transactional, to those who are able to think strategically and contribute to the future success of an organisation, as opposed to providing solutions for its current state. 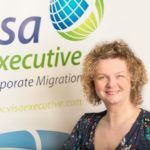 Having also lived the expat experience herself, she is passionate about the human aspect of Global Workforce Management and making the employee experience a positive one. As a result, Erika believes that there is no better time for the industry’s ‘seasoned professionals’ and ‘rookies’ to come together to define the future of our profession and showcase the amazing work being done and is excited to join the Industry Taskforce and be given the opportunity to collaborate with other passionate industry experts to support TEMI’s objectives. Contact Erika to talk about her career. Amanda is a mother in her mid-fifties and a die-hard Richmond support. She started in the migration industry when she was in her mid-twenties by sticking stamps into passports at the Australian High Commission in London: this for Amanda was the best job in the world. After more than 25 years working in the Australian migration world, Amanda has seen Politicians and Ministers think, change, procrastinate, do nothing and then do lots all at the same time. Discussing, guiding and assisting HR staff mange and understand the visa world is a part of her job that she really does enjoy. Amanda is always happy for a chat about whatever our immigration minister has said/done today, but only over a 3pm glass of Barossa Valley riesling. Rebecca’s career in global mobility started in an amateur way – travelling and working in Eastern Europe and Japan in her twenties. Happily, those wandering years led indirectly to her first role with the Japanese Human Capital team in Deloitte London, looking after employers with expatriates in London. Once she grasped the core expatriate tax concepts, she was able to branch out into policy design and process mapping. 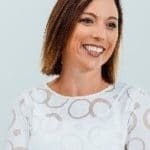 After her move to Deloitte Melbourne, an innocent customer query (“Is there some kind of process map to help me manage these moves?”) hooked her on the possibilities of using workflow automation and design thinking to transform global mobility. Rebecca is now in her dream job at Topia, with a company that is visionary and passionate about mobility technology, and she gets to demonstrate and discover new ways of thinking about mobility every day! Contact Rebecca to chat about her career choice. Francis has been involved in the global mobility industry for over 20 years. He has consulted to organisations on global mobility tax and policy across all industry sectors, successfully helping them navigate through the complexity of international tax regulation and compliance, introduction and revision of global mobility policies and delivered successful cost savings and efficiency gain projects. Currently, in his role as the Business Development Director at Crown World Mobility, Francis is engaging with and assisting organisations to design bespoke mobility solutions for the movement of domestic and international employees. Francis also has experience in People Change Management through delivering a national workforce transformation project for 6,000 staff. Jenny’s first insight into the world of mobility was many years ago as an expat child. Jenny lived in Paris, France for 7 years. Jenny went to the British School of Paris and experienced all the facets of a mobility programme. After graduating from the University of Leeds, Jenny started work in London within HR then transitioning into Mobility. 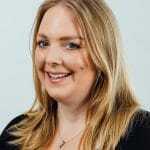 Over the last 12 years Jenny has worked in both the corporate mobility space for two large multi-national organisations and more recently within the vendor world looking after corporate relocations as part of her role at Grace. Contact Jenny to talk about her career. 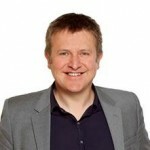 Jon is a passionate transformation and Change professional with 25 years of diverse international experience. 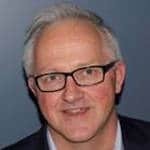 Based in London, Jon is responsible for client services and strategic client relationship development for a portfolio of regional/global BGRS clients. BGRS develops and implements comprehensive talent mobility solutions for corporate and government clients worldwide. 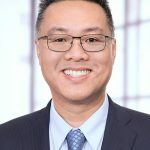 Prior to this Jon led Deloitte’s regional service line around mobility workforce analytics, incorporating data into the mobility process to deliver meaningful insights. 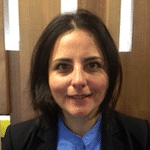 Anthea is currently Group Director of Sales for Quest Apartment Hotels. With spacious serviced apartment style hotel rooms in over 160 locations, Quest provides short and long term accommodation for the business and leisure traveller. Anthea is a steering committee member of The Employee Mobility Institute. 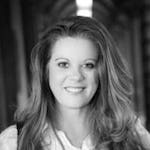 Kerry Sanders is a Global Mobility and Human Resources professional who combines her experiences living overseas and her professional skills to provide support to clients and their expatriate employees and families. Prior to her 7 years at International Consultants Centre, Kerry worked in Human Resources across a wide range of sectors. She has worked as both an in-house expert and a business consultant developing and managing a broad range of human resources functions. Kerry has extensive experience in designing and facilitating in-house training and employee development programs. Kerry has qualifications in Management and Human Resources. She has lived and worked in the United Kingdom and New Zealand. Contact Kerry to talk about her career path. As a careers and leadership expert, Margot is passionate about building agile global workforces. 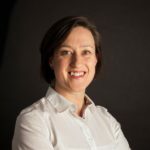 She works with organisations at each stage of the mobility lifecycle to ensure that career development and talent planning is a fully integrated and practical component of their people strategy. Margot is a regular writer for TEMI Insights, The CEO Magazine, Success and various other print and online leadership publications. Annabel is an experienced Training Manager with strong professional skills in Training and Coaching, Program Management and Stakeholder Management. 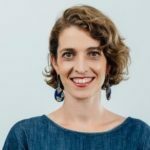 As Intercultural Manager and Facilitator she has been responsible for the end to end design and delivery of cultural intelligence programs for individuals and teams across multinational organisations, including the delivery of over 500 cultural coaching sessions. Annabel brings deep expertise in working with professionals including senior leaders to develop their cultural intelligence and ability to collaborate effectively across cultures. She brings a blended approach to learning and utilises a range of delivery methodologies including face to face, virtual and selfpaced. 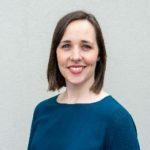 Annabel has a BA (Hons), Certificates in Training and Assessment and Intercultural Studies and is accredited in a number of assessment instruments. Annabel has lived in Indonesia and Samoa and has travelled extensively. 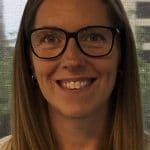 Jess is an experienced Global Mobility Manager with significant experience in inbound and outbound assignment management, account management, policy development and implementation. Jess has a particular interest in globalisation and the impact of workplace change management on employees and their families. 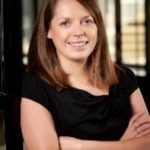 In Jess’s 7 years in Global Mobility she has managed multiple local and offshore relocations across a range of organisations and industries. Jess has graduate and post-graduate qualifications in Psychology, Sociology, Education and Human Resources. Jess has lived and worked in the United Kingdom, Canada and Singapore. Shaun Palmer has held a series of Global Human Resources Leadership roles across the resource and resource services sectors and has considerable experience creating business cases that have real impact. Most recently Chief Human Resources Officer Xstrata Coal & Iron Ore; an international coal and iron ore mining and marketing company with 18,000 employees across 10 countries with annual sales exceeding $10 Billion USD. Shaun was the Senior Vice President Human Resources, Vetco International; a London based Oilfield Services Company with 16,000 employees across 22 countries and held a number of global roles with Schlumberger, an International Oilfield Services Company. 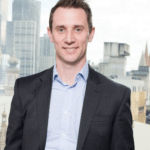 Shaun is currently a Director of Human Capital Management – Learning Paths Australia, a business that focuses on maximising human capital during mergers and acquisitions and restructure. Shaun is also an Associate of CtechBA, a strategic consultancy and corporate advisory business; the Chair of the Employee Mobility Institute – TEMI Connect Advisory Board; a Board member of FRANS, a charity supporting the intellectually disabled in Sydney’s inner-west and an active volunteer with the Exodus Foundation. Kate is an experienced Intercultural Facilitator and Project Coordinator with demonstrated success working across sectors. Kate is skilled in training delivery, stakeholder engagement, research and project administration. Her studies in anthropology, foreign languages and international development allow her to develop and deliver intercultural programs with insight and depth. She is currently broadening her experience across the range of mobility services with an inhouse placement with a client. Kate has a Master of International Development and accreditation in Project Management. She has lived and worked in Spain and the Philippines. Berry Treffers has many years’ experience in the expatriate medical insurance and employee benefits market and is recognised as one of Australia’s leading brokers in this field. 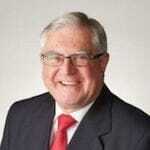 Berry actively presents at industry seminars, conferences and is TEMI’s adviser on Expatriate Health Insurance.